Navratri 2017 has already begun and it’s about time you step up your dressing game if you haven’t already. While having the perfect outfit and jewellery is absolutely crucial to your look, don’t forget to plan your hairdo with every outfit…because believe it or not, it has the power to make or break your entire look! When it comes to hairstyles for Navratri, it’s options galore – go for braids, buns or maybe just add a pretty accessory and leave those locks open…it’s totally up to you! Before you begin experimenting, ensure that your hair makes for the ideal base. The Sunsilk Black Shine Shampoo & Sunsilk Black Shine Amla Pearl Complex Conditioner is just what you need! Enriched with Amla Pearl Complex and special amino acids, its small molecules penetrate into your hair right from the first wash.
An elegant bun has always been a classic hairstyle to pair with your Indian wear, but a braided bun is just a whole level above. 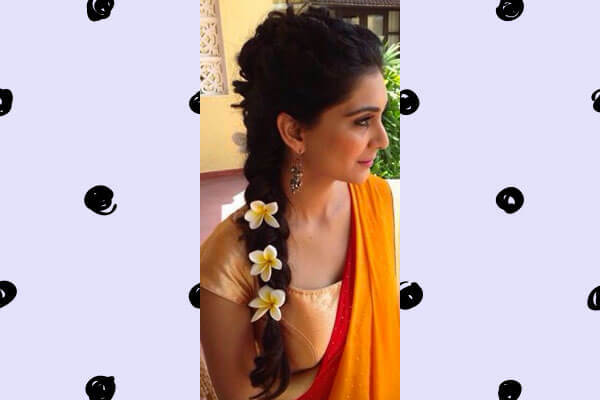 This is easily one of the simplest yet most glamorous hairstyles to opt for this Navratri. If you want to go the extra mile, feel free to jazz things up with hair accessories or some real flowers. If you’re thinking of going for a look that’s the perfect mix of both sultry and sophisticated then this is the hairstyle for you. This hairstyle will add some gorgeous volume to your locks as well as that much-needed drama to compliment the rest of your festive attire. The messy bun is a signature hairstyle for any festive look, especially when paired with traditional wear. It has a carefree appeal and one of the most easy hairstyles to pull off – you just can’t go wrong with this one! 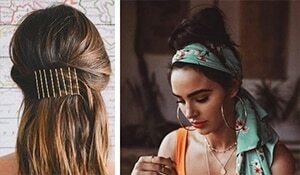 To really make this hairstyle stand out, add a few stray waves or curls here and there along with some stunning hair accessories like a maang teeka or an elaborate hair clip. The effortless charm of this hairstyle will add a quirky appeal to your traditional ensemble. 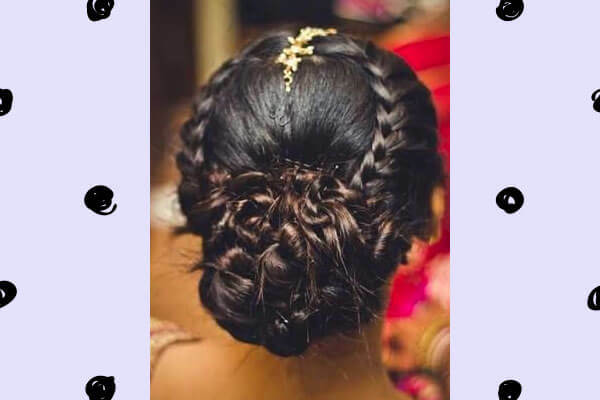 If your Navratri plans include a fun filled night of singing, dancing and festive cheer then you really don’t want a high-maintenance hairdo that’s going to harass you through the night. 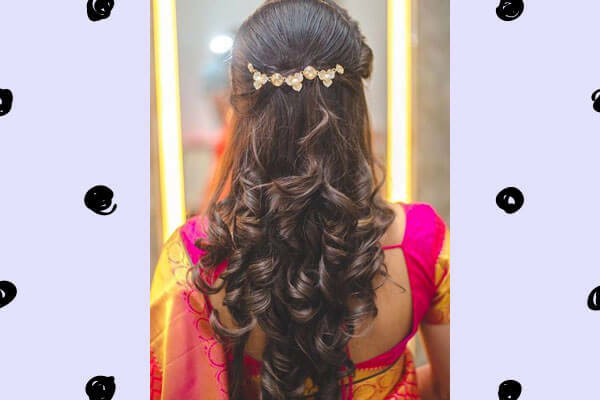 What you need is a hassle-free hairstyle that’ll not only look great but also neatly secure those locks so they don’t get in the way when you’re playing garba. For situations like these, there’s nothing better than a good ol’ fishtail Braid. Top knots are a runway favourite hairstyle, and although they’re more commonly paired with western wear, who said you need to restrict yourself to that. After all, fashion is all about setting new trends! So get ready to up the ante this Navratri and pair your dressy traditional ensembles with a top knot for a look that’s enviously chic. 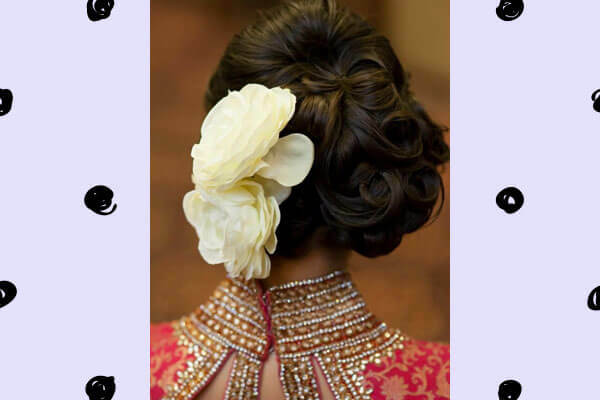 A low bun is one of the go-to hairstyles to pair with traditional Indian outfits. It works beautifully with your colourful Navratri lehengas and sarees. Moreover, it’s the perfect choice for women looking to add a garland or other hair accessories on or around their bun. If you really want to flaunt your locks this festive season, then this hairstyle is perfect for you. This is one of those natural looks that’ll never go out of style…plus it’s an easy hairstyle to achieve. 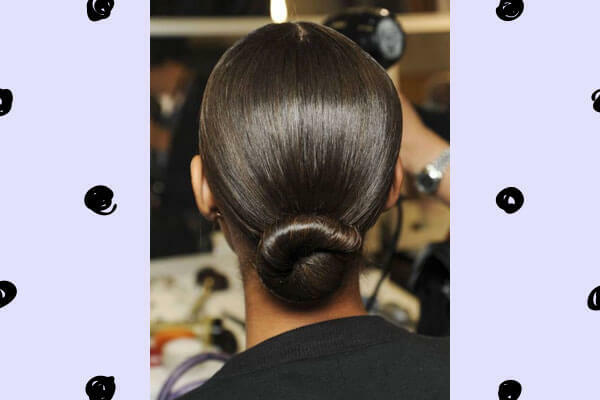 All you have to do is make a small puff or a bouffant on top to add some volume and then let loose those lovely curls and let them work their magic. If you want to play up the glam some more, add a pretty headdress or a floral hair comb and you’ll be all set to dazzle this Navratri. If you’re really looking to experiment and go all out on the glam quotient then this is one hairstyle you simply have to try. 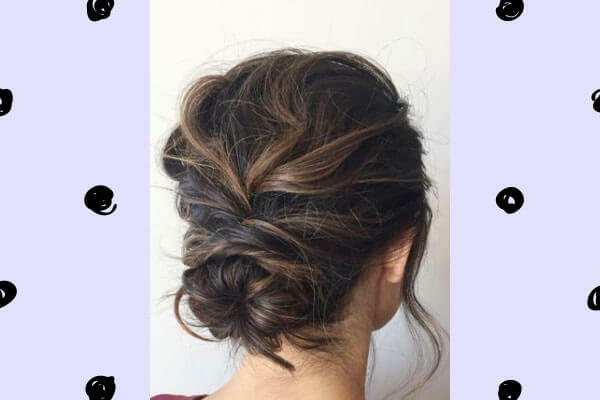 A side swept bun isn’t the easiest look to achieve, but it’s totally worth the effort because the end result is an absolute winner! So pick whichever style catches your fancy and don’t forget to accessorize to elevate your glam quotient!